The GIS Research & Map Collection (GRMC) on the second floor of Bracken Library houses 140,000 maps that can be used for research and learning. Many of the maps can be used to interpret current events. 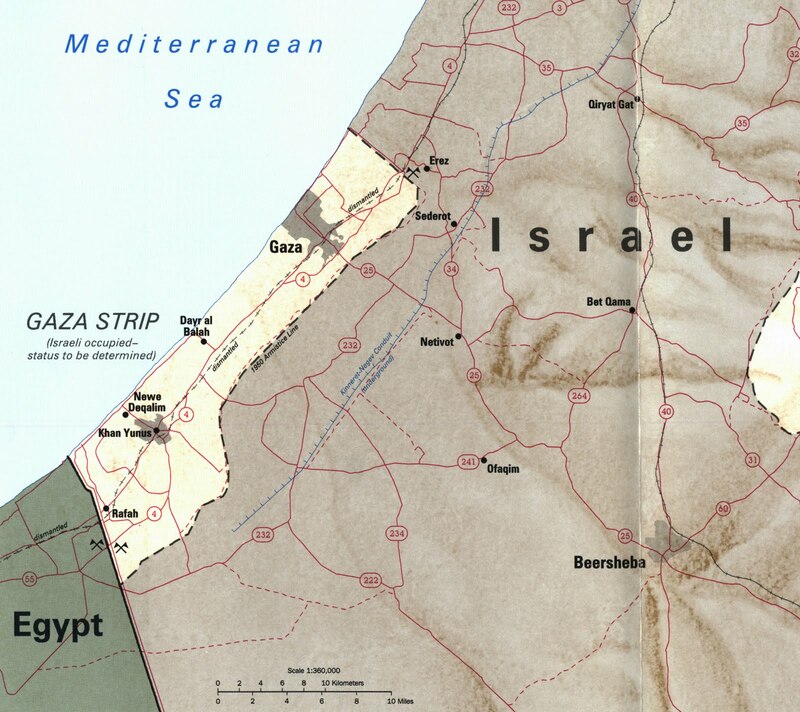 For example, the GRMC includes a variety of maps of the Gaza Strip. The current “Maps in the News” exhibit in the windows of the GRMC features an aerial photograph of the Gaza Strip from 2005. This view of the area identifies Israeli-developed areas, the Oslo-defined settlement zones and security perimeter, the United Nations Relief and Work Agency for Palestine Refugees camps, Palestinian-populated areas, border crossings, and roads. The GRMC also includes maps of the Gaza Strip produced by the Central Intelligence Agency and nautical charts of the Mediterranean area. 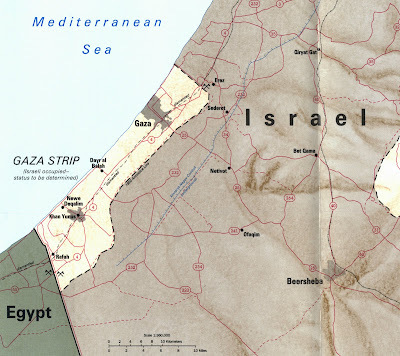 Maps of Israeli settlements in Gaza available from the GRMC date back to 1980. The Atlas Collection, also located on the east side of the second floor of Bracken Library, includes an atlas called The Gaza Strip and West Bank: A Map Folio. This atlas features maps showing natural resources, economic activity and land use, selected water resources, Israeli-controlled land, transportation routes (shown) and other maps. New materials are also available for places in the news: The GRMC has acquired a 2009 map of South Africa, host country of the World Cup Soccer. Two Koreas is a map published in 2007 by the National Geographic Society which features an ancillary map showing military and nuclear capacity and a fact box graphic showing military forces and spending. For more information about these maps, please contact the GRMC Monday through Friday from 7:30 A.M. to 4:30 P.M. during the summer.